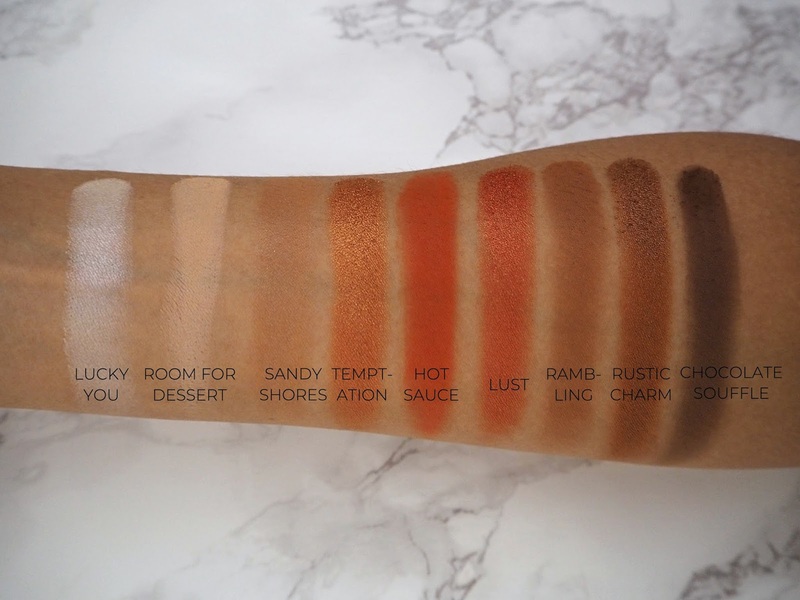 AN URBAN DECAY NAKED HEAT DUPE FOR £8? Ok so there are four version of this palette for...reasons. A 12 pan, a 9 pan (this one), a matte 9 pan and a shimmer 9 pan. To confuse things a little more; the 9 pan palette isn't just a reduced version of the 12 pan - it's pretty much all new shades, as are the others, so the shimmer palette has some shimmers from both the 9 and the 12 pan and some new ones. It's all very unintuitive! This particular iteration comes with a stark white shade that has a pearly sheen that you can use as a highlight - Lucky You. Room for Dessert is the kind of peachy light-medium toned matte that I like to use as a transition. Sandy Shores is my perfect caramel brown matte crease colour. Temptation is an orange-gold shimmer you can use all over the lid. Hot Sauce is an orange-red matte that can be used to add a pop of colour to the crease or the lower lash line. Lust is kind of like Hot Sauce's shimmery sister - again it can be used on the lower lash line but also looks nice on the lid. Rambling is a deeper, more neutral brown matte which I often use for liner or to deepen the outer part of the crease. Rustic Charm is a warm brown shimmer - the type of shade I tend to use to add some smokiness to the outer part of the lid. Finally we have Chocolate Souffle; the darkest shade in the palette - a sort of chocolate-charcoal matte liner colour. If there's one thing I'd say about this palette it's that the shimmers are a little limiting, so it's definitely one that you can and should mix and match with other warm-toned palettes that have a more versatile range of lid colours. If I'm going for anything other than an all-matte look, I do find there's only so many looks I can get out of this on its own. In terms of the formula; it's definitely pigmented! Almost a little too pigmented, in fact - I have to tap off quite a bit of excess before going in with these mattes. It does create some kickback in the pan and I do get a little bit of fallout when applying these, so I'm careful to do my base makeup after my eyeshadow when I'm using this palette. But, I guess they wanted to go for pigmentation and they certainly achieved that! I do find the mattes blend very smoothly, though I do find it quite easy to 'over blend' these shades and end up with my eyeshadow looking like a muddy mess, so just be aware you might need to amend your application technique a little to work with something so pigmented. I do find this these muddy together a little as the day goes on; things definitely start to look a bit messy beyond the 6 hour mark. The shimmers are a little more straightforward; apply them with a flat brush or with your fingers (for maximum payoff) and they will stay pretty shiny for the entire day. 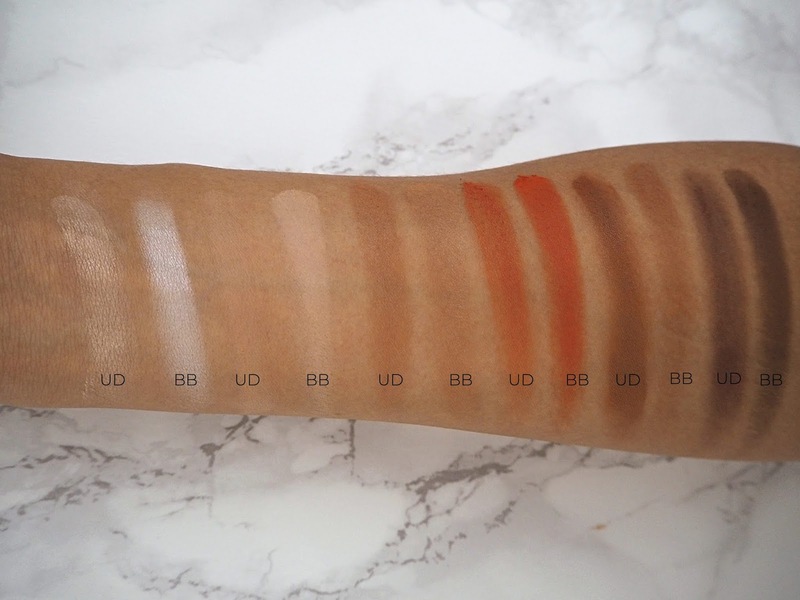 So, how does it measure up to my Urban Decay Naked Petite Heat Palette | review? Well, as you can see; the mattes are near enough identical in terms of colour and in many cases the Beauty Bay version is just that bit more pigmented. One thing I'd say in terms of formula is that Urban Decay palette definitely doesn't have the same issues with muddying and I find it quicker and easier to get the look I want with the Petite Heat. Yes, they look slightly softer and less bold once applied, but to me that works well with my makeup application and style preferences. The Urban Decay also wears a lot better on me personally. 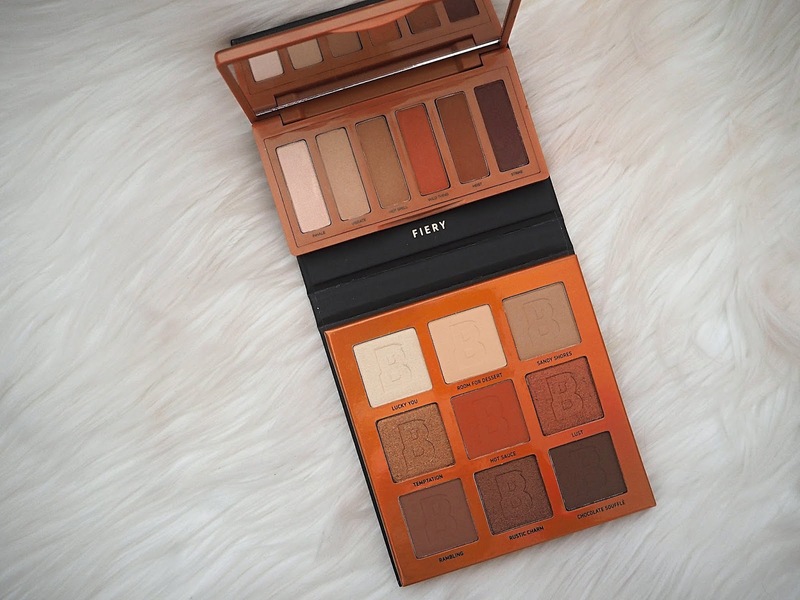 In short; the Beauty Bay palette is definitely a viable alternative to Urban Decay's Naked Heat palettes. If you're pretty confident in your makeup skills; I definitely think you'll get some gorgeous looks out of it. If you're more of a beginner, I do think the intense pigmentation and the tendency of these shades to muddy together could make the Beauty Bay palette a little harder to work with. If you want shadows you can use quickly and easily to create a look, I think the Urban Decay is more user-friendly. 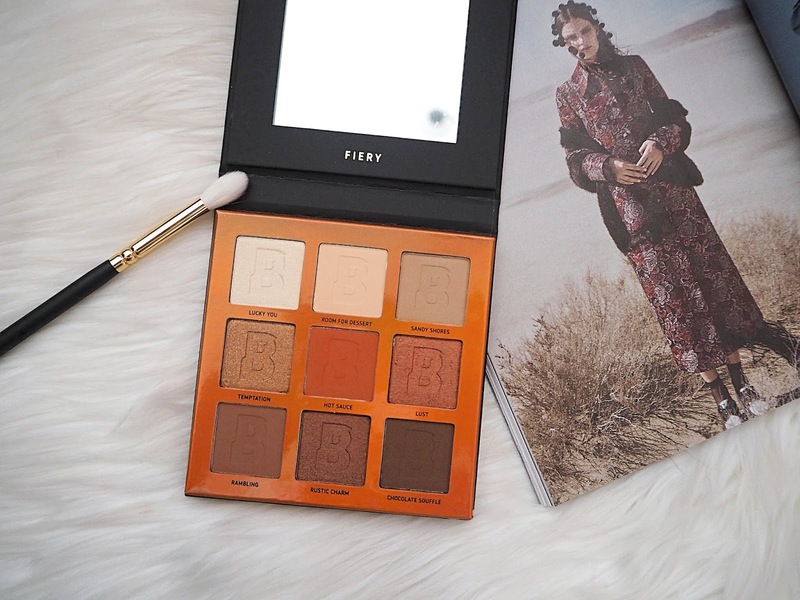 Do you have your eye on any of the new Beauty Bay EYN palettes?